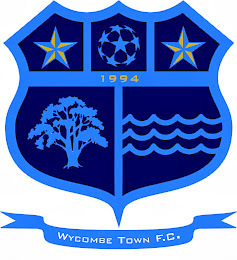 King George V 1 v Wycombe Town 4Away to King George, 'Town' were quick off the mark scored early on and dominated the first half going in at half time deservidly 3-0 up. The second half was somewhat similar but with King George making more of the play, 'Town' absorbing the pressure and making quick counter attacks. George managed to find a way through the tight defence to score but 'Town' hit back again to make the final score 4-1. Delroy Howell scored 2 and Darren Crane and Vinny Cuva got a goal each. 'Town Res' kept the pressure on the Division two top spot with a great win over Seer Green. Playing some great passing football 'Town' dominated the game and the goals were scored by Wyane Norris 2, James hall, Steve Perry and Liam Holder.